Riverview Family Dentistry now offers KöR Whitening! 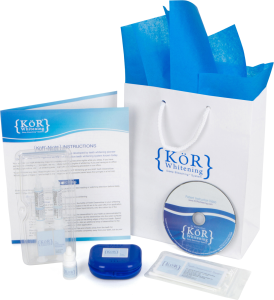 Thousands of dentists around the world agree that KöR Whitening is by far the most reliable and effective whitening system ever developed! First, Impressions (molds) of your teeth are made. From these molds, custom whitening trays are made to fit precisely over your teeth. Then, the KöR whitening material is given with instructions and at home whitening can begin! Get your amazing whitening results today!